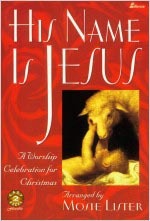 Cornerstone Blog: Special Service of Christmas Music and Celebration - Sunday, December 16, 2012, 10:30 AM! Special Service of Christmas Music and Celebration - Sunday, December 16, 2012, 10:30 AM! We hope you are planning to be in church this coming Sunday Morning, December 16, 2012, at 10:30 am, for a special service of music and celebration! Our Adult Choir will present a Christmas Cantata that will feature our children singing one of the very beautiful songs! The Cantata - His Name Is Jesus, by Gospel Music Hall of Fame composer and arranger Mosie Lister – incorporates Gospel favorites, traditional carols, and new Gospel songs into a highly meaningful Christmas musical. It promises to be a great service. We look forward to seeing you. Invite a friend to come with you to worship the King!